Pierce and Dickson unfold a biblical model of worship: how to ascend to God's throne in worship and descend in His power to declare His will in our lives, our cities, and the nations. Discover how to push back the kingdom of darkness through worship to recover God's blessings. 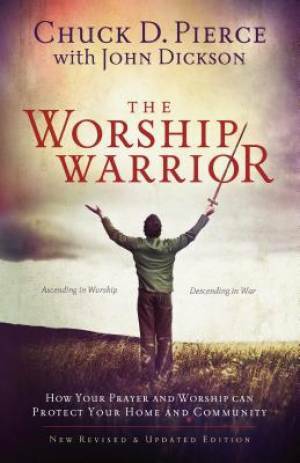 The Worship Warrior by Chuck D Pierce was published by Baker in November 2010 and is our 52299th best seller. The ISBN for The Worship Warrior is 9780800797010. Be the first to review The Worship Warrior! Got a question? No problem! Just click here to ask us about The Worship Warrior.